As a Disney pin collector, there's a satisfaction that comes with finding that last pin you need to complete a set. And as a finicky collector, the pins I'm drawn to are few and far between- so when I find a set I love, and I can complete it? That's cause for celebration. My favorite pin set probably doesn't come as a surprise to regular readers: the EPCOT Center Logo pins. Released in April 2015 as part of the Hidden Mickey Cast Lanyard series, these vintage Epcot icons have everything I love in a pin design- clean crisp styling, bold color, classic graphic design, symbols or signage rather than characters, and of course- they're vintage Epcot. The icons represent the original Epcot Center logos, including Horizons, Journey Into Imagination, CommuniCore, The Land, and The Living Seas. I collected this set over the course of several visits. Ironically, I had to go to the other side of the country- to Disneyland- in order to find the last remaining pin I needed to complete the set. As I was scurrying through Disney's California Adventure on my way back to the Disneyland Hotel, I spotted The Land pin on the lanyard of a custodial worker sweeping up near the gates. When I approached him to trade, he told me he had just received it about an hour before, and he had no idea what it was. You never know when you'll come across that final pin to complete a set. 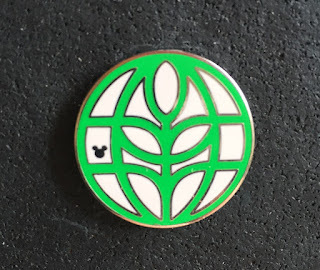 What do you think of the Epcot icon pins? Are you into pin trading at the parks & resorts? SCORE! Nothing like the feeling of "stumbling upon" the last pin needed in a favorite set. I LOVE the Epcot Center Logo pin set too, but I'm still working on mine. I wonder where I'll find that last pin? I need to get back to WDW and find ou! They remind me of a time gone by where I spent a lot of time in EPCOT...esp the CommuniCore areas! Without further ado, here are some clues and a guide to what to do with the blueprint of logos this year that is just around the corner. startup branding Before you hire any logo designer here are certain tips that will help you choose one.